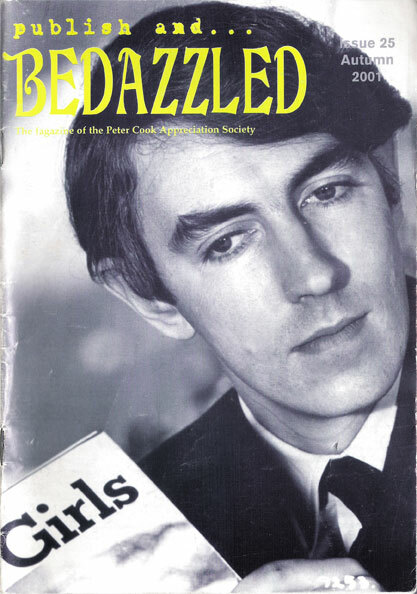 My career as an author of books on Comedy History* began, as all the best comedy stories tend to, with Peter Cook. Although I had been a magazine journalist for half my lifetime and a Film & Television graduate who had written extensively about DVDs, films and telly programmes in numerous magazines, my fanzine career didn’t kick off until the superb originators of the Official Peter Cook Appreciation Society fagazine, ‘Publish & Bedazzled’ (Pub & Bed) asked me to send them some feedback from the mid-noughties tribute show led by David Frost. Mainly because I was the only person they knew who had shelled out £50 to be there. 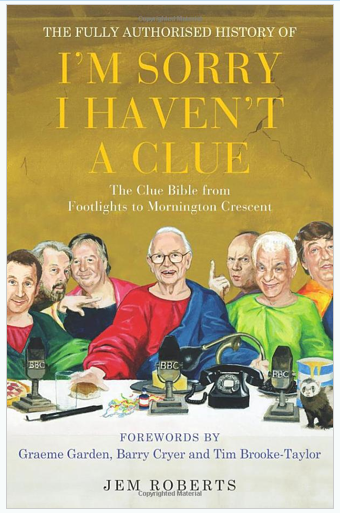 When Barry Cryer called me up to congratulate me on the fact that I hadn’t walked into any of these traps, one sentence led to another and soon it was mooted that extending my two articles into a full book would not be the most disastrous idea of all time, and eventually, with the help of Graeme Garden, the concept of an ‘I’m Sorry’ Bible (in that it was the complete guide to everything anyone could possibly ever need to know, broken up into two sections) was adopted by the official ISIHAC publisher, Trevor Dolby at Preface Publishing, and thus my first book became a reality: THE CLUE BIBLE: THE FULLY AUTHORISED HISTORY OF I’M SORRY I HAVEN’T A CLUE. Composing it was a hell of a long and indeed winding road, involving some of the greatest moments of my life (Being in the green room at the Hammersmith Apollo, chatting to Humph minutes before the biggest ever ISIHAC show) to some of the biggest tragedies – not just the loss of Humph, mere weeks after he cordially agreed to pen the foreword, but also the great Sir David Hatch (what a loss to Comedy knowledge his early passing was), Linda Smith, Geoffrey Perkins… Ultimately, I decided to hand in the manuscript before the book could kill again. When Preface offered me the chance to write a follow-up, despite this being a career which had taken me by surprise, the answer was immediate, passionate, and certain. Blackadder, you see, had been the real spark which started a whole life’s devotion to Comedy, one way or another. Before even reaching double figures, I was a devoted fan of the programme, but watching the tragedy of ‘Goodbyeee’ unfold at the tender age of eleven was the clincher – until then I had no idea of the true power that comedy wielded, not just to make people laugh, but… Well, you know the rest. 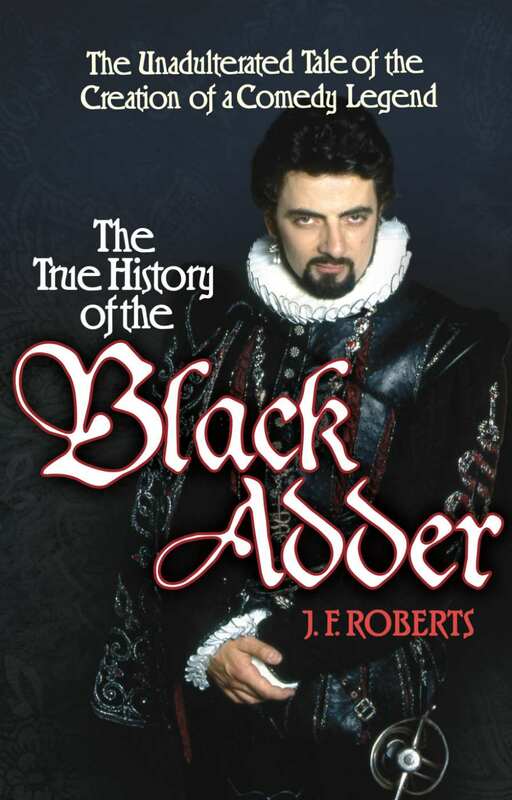 Just as ‘The Clue Bible’ was written to ensure that no hack would knock off a point-missing cash-in, I was well aware that Blackadder had already suffered one ill treatment in print, and wanted to plant a flag ASAP before the impending 30th anniversary led someone else to rush out an ‘episode guide’ without any input from the creators themselves. Again, the three years spent chronicling every last aspect of the creation of Blackadder were packed with honours of which I would never have dared to dream – being handed a lost** Blackadder script by Richard Curtis himself, and having it sticking out of my back pocket as I subsequently killed time exploring the Tower of London, being just one treat indelibly scribbled on my heart, for instance. Talking History with Ben Elton and Tony Robinson being another one to bemuse the grandkids about. This has all been leading to my current honour – being entrusted with the story of Fry & Laurie, one of our greatest comedy double acts, in my officially endorsed joint biography SOUPY TWISTS! This time, published by Unbound, so you can follow the construction of this positively orgasmically exciting book via the inherent link. *I make no claims to any other title but ‘Comedy Historian’, as that seems to be literally the case. 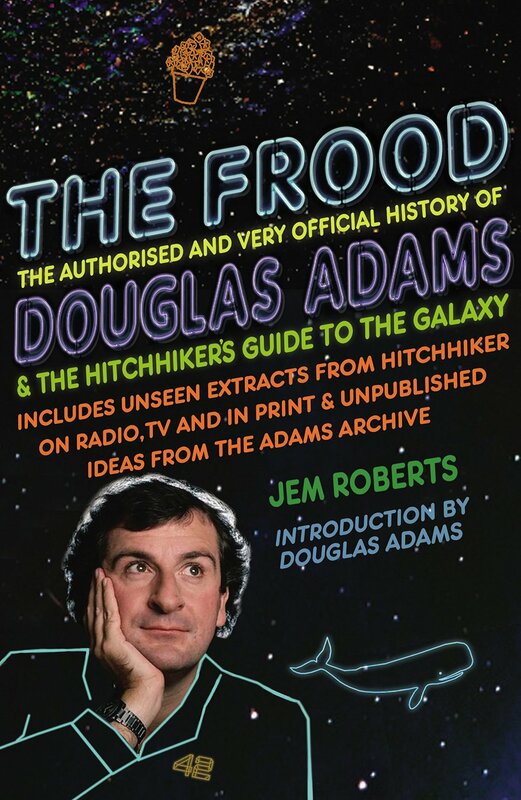 I do not wish to be a biographer, and one label I certainly disdain is ‘Comedy Critic’ – I will happily criticise any comedy for free, and often do, but I do not wish to make money by suggesting where other comedy writers and performers have gone right, or wrong, as if my opinion counts for anything. *** I never ever do, it was one of the best sitcoms of the 1980s. I manage Oldham library in Greater Manchester. Every year the library runs a Book Festival, in 2016 it will be running from 14 to 21 May. I was wondering if you would be free during this time to come to Oldham to talk about the books you’ve written and in particular The Frood?